My 23rd birthday was just under two weeks ago & I decided to treat myself to a little Detox Market haul. First of all, in case you don’t know, The Detox Market is an amazing shop where you can get pretty much all your green beauty essentials. They are located in Los Angeles, CA, but luckily have an online shop as well. I found out about them a while back when I was looking for an american retailer that sells MV Organic Skincare, which by the way, is a beautiful line for sensitive skin. This time around, I picked out four new products that I had been interested in trying out. Before I get into the products, I would just like to say that when it comes to customer service, The Detox Market knows how to make a gal (or guy) happy. Every time I have placed an order with them, I always receive a couple free samples and a lovely hand written note. In this particular order, the samples that were included in my order were a perfume and two facial sponges. The sponges were a little harsh for my ultra sensitive skin, but the perfume is a very pretty, citrus-sweet scent. In terms of having bought four products I’ve never tried before, I am very happy with each and every one, but I think I’ll review in order of least-to-most favorite. First up is a lip crayon by Ilia in the shade Iko Iko. This is an awesome every day neutral for fall. Iko Iko is such a unique color – part coppery, part gold, part red and pink and brown… very hard to describe, but so pretty on the lips. 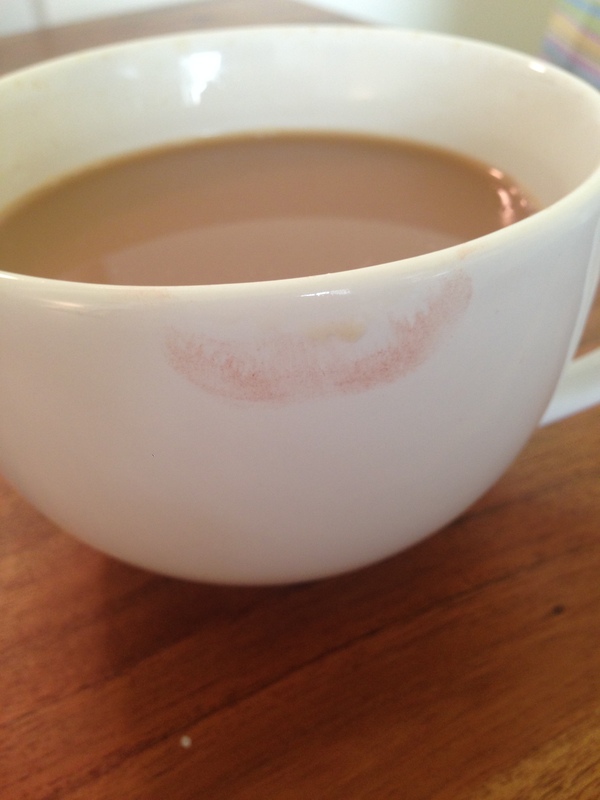 The formula is also nice and moisturizing when it goes on, but I have yet to find a lip product other than balms that doesn’t eventually dry out my lips during the day. 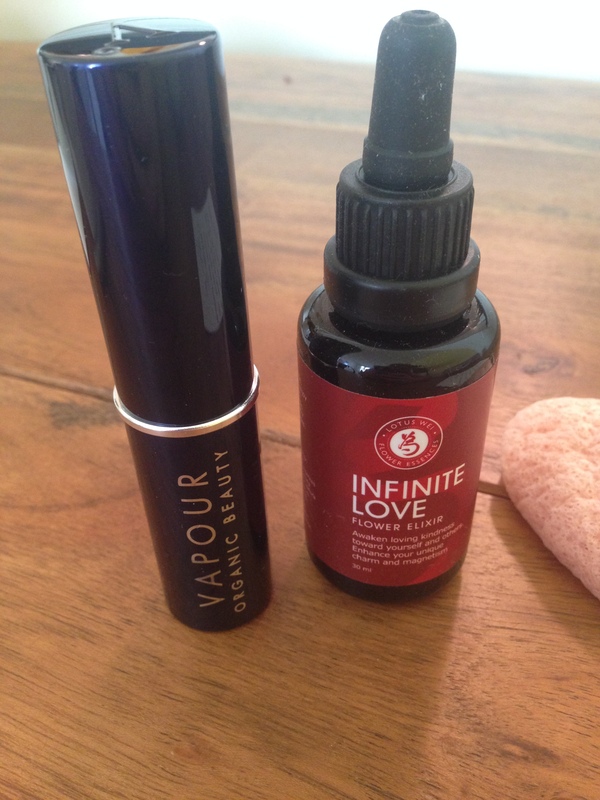 The second and last makeup item I purchased was Vapour Organic Beauty’s Atmosphere Luminous Foundation. The shade I chose was 115, which is for fair skin with neutral undertones, which means it is neither too pink or too yellow. I am still not a huge foundation lover, but I wanted to try this one out since I had heard that the formula is nice and light, as well as being moisturizing. I was also drawn to this product because it comes in stick form, which means it is easy to apply and extremely travel-friendly. I have been using this foundation almost every day since I got it & I really enjoy it. The best part for me is that it feels like nothing is on your skin as soon as it sets. The coverage can be built up, but it looks very natural with just a swipe of the stick over any areas you feel you need it. I use it just to even out my tone and add a bit of luminosity, which it does quite nicely. The ingredients are not irritating at all and it actually feels quite nourishing on my face. 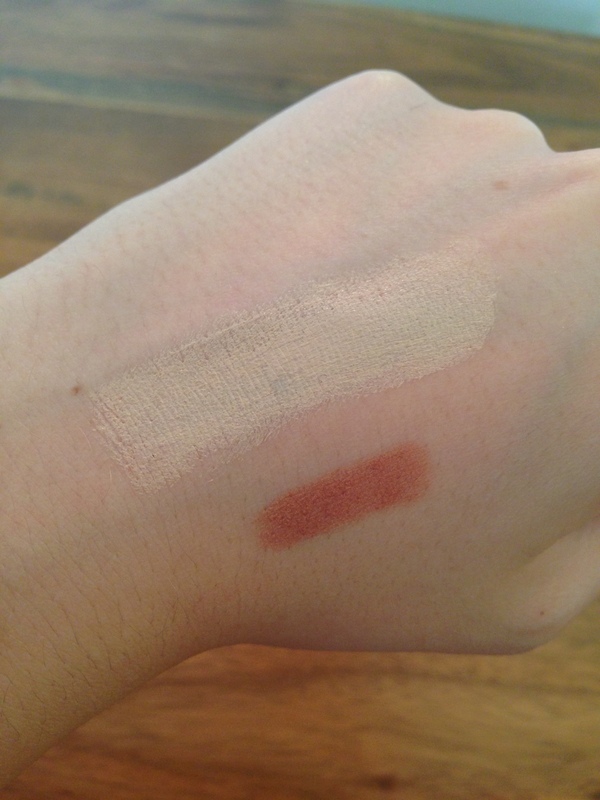 I have been finding that this is a product that actually looks better the longer I have it on for – it just seems to meld into my skin the longer its on there. This may be the strangest item from my birthday haul – the Infinite Love Elixir by Lotus Wei. This is an all natural’elixir,’ which is taken orally & composed solely of fruits, vegetables and flowers. The company makes a variety of products like this which are meant to balance, uplift, calm or energize and you can chose either the elixir, spray or serum formulations. The one I chose is supposed to lessen irritation, negative self-talk or being hard on yourself, resentment, anger, breaking through old patterns, etc… and foster unconditional love for yourself & others. Basically, things each and every one of us could use a little help with here and there. I wasn’t sure how much I believed this would work, but I have been feeling a difference since starting to use it. Obviously better results are expected with consistent and long-term use, so we will see if it continues to be a positive experience. Lastly, my favorite product from the bunch! I ordered the organic cleaning sponge from One Love Organics to replace my wash cloth routine with. First of all, how darn cute? It comes in two heart-shaped options, pink for sensitive, dry skin and black/grey for oily/combo skin. This pink heart has become a fast staple in my skincare routine. All you have to do it squeeze the sponge under water until it softens and expands and then wash your face with it. I generally use it first to dampen my face, then rub my MV Organics Gentle Cream Cleanser into my face with my hands, and then wash it off with the sponge again. The sponge is so soft that there is zero irritation and the clay inside has really helped with cleansing my pores. My skin has felt softer and smoother since using it, and I mean really, how darn cute?? 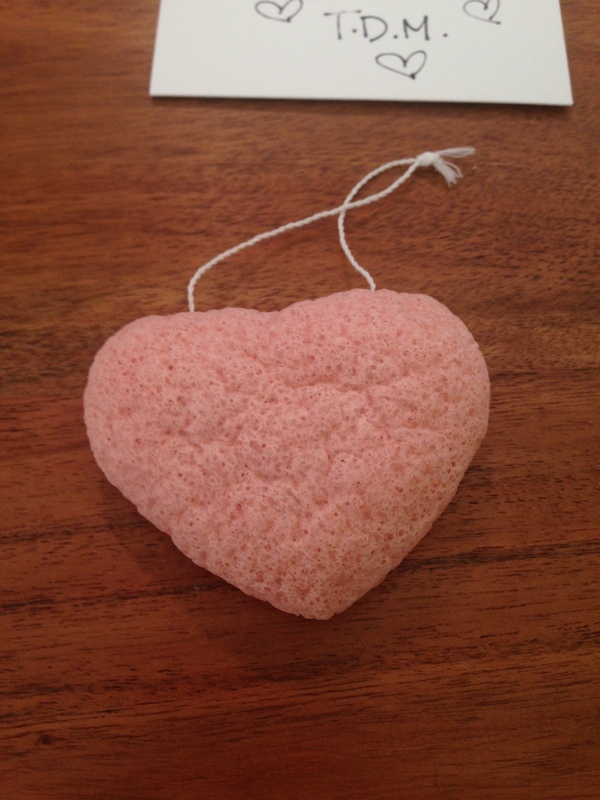 Who wouldn’t want this little pink heart hanging around their bathroom? I hope you enjoyed my little birthday haul & definitely check out The Detox Market if you haven’t yet!